Are you a newbie in the CB world? Otherwise, I don’t think any reason for someone to search what is CB radio and CB definition. What does CB mean and what does CB radio stand for are the biggest doubts in the minds of newbies. Let me clear the air for you. CB stands for Citizen Band. It’s a band of frequencies available for common citizens like me and you. 1.3 How can You Use a CB? 3 WHO IS A CB RADIO MEANT FOR? CB or Citizen Band can be defined as a a range of radio-wave frequencies that in the U.S. is allocated officially for private radio communications. This is the defnition by Merriam-Webser. A citizen band radio (CB radio) is a communicative device. Its sole purpose is to provide the most secured communicative means for people. It is used in several countries and is considered as a short-distance radio system for communication. Users who purchase the transmitting device can converse through its 40 secured channels. They run on the 27 MHz (11 m) band. This radio machine cannot be used to gain access to other radio communication services. The CB radio is a separate intercommunication medium. Hence, if you want to use FRS or GMRS, you have to buy their radios. The best thing about CB radio is that you will not require a license. However, it might require the purchase of a license in some countries. But in most countries, users get to buy and operate without that requirement. How can You Use a CB? This device is a two-way communication service. And as such, you should expect lots of users sharing the channels. You should know that only one station communicates at a time. What this really means is that, while one station broadcasts, the others are forced to wait and listen. When the active station is done broadcasting, that is when the channel becomes available. However, there is a way around this. Those stations who become tired of the ongoing broadcast can use a shared channel to express their concern. To do that, it is customary for them to say the word “break.” This short statement informs the active station that others are waiting for their turn. Now that we have seen what does CB stand for in a ‘CB Radio’, let us have a peek into the features of CB Radio. 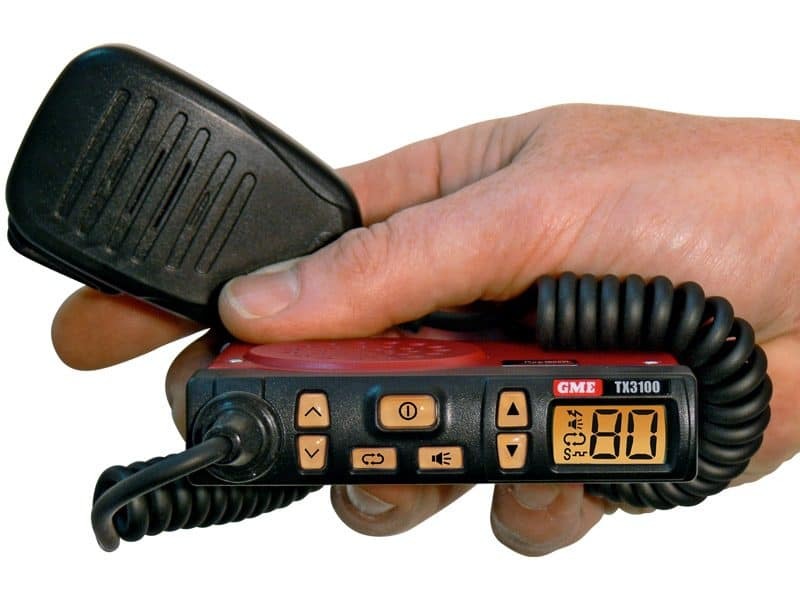 The basic features every CB radio must possess is an on/of switch; a control for volume; a control for channels switching; and a squelch button or switch. However, there are ten other essential features shared unequally among CBS. You may not need all of them, and you might not get them all in a device. But if you do get them, they can make things a lot easier. This one of the essential features a CB radio should have. The channel 19 and 9 instant feature gives Cb users direct access for emergencies. The channel 9 is a general emergency channel and is known as the highway trucker distress channel. Rested on the modifications of your device, you can gain access to this attribute through a switch or button. Through this provision, truckers and users don’t need to wait in the long queue. Your voice can be heard when your reason for coming on is time conscious. Do note that these channels are only for distress purposes and safety assurance. If you have uncertainty regarding a thing; if you run into problems, then the channel 19 and 8 is there for use. This feature is important for those who need constant weather information. Not all CB comes with this feature. A CB with NOAA channels, allows its users to gain access to local broadcast from these weather stations. They always give their subscribers daily information regarding the condition of the atmosphere. Also, when there is a weather emergency, you can trust them for an instant update. With the help of an RF gain feature, users of a CB don’t have to tolerate listening to conversations that don’t interest them. Also, you get to remove the noisy background. The Rf gain works through the use of a variable that allows operators to adjust the signal length of the device. The cause of noisy backgrounds is faint transmissions. These intercommunications are weak due to their far range. Users are most likely to get this attribute in many transmitters. RF power works in like the RF gain. However, while the latter deals with the reception the former handles transmissions. This feature can help operators conserve battery juice. The RF power gives users the option of transmitting to only nearby stations. Despite how wonderful this feature is, sadly, it is less commonly found in Cbs. This attribute gives users the chance to experience the services of SWR calibration. It also gives them the option of fine-tuning it. users’ of the CB service get the best out of their antenna through this feature. The lower the calibration the better the reception gained. The best calibration is 1.1:1. Most times that reading is not achieved. A 1.1:5 is most gotten and is still okay. This feature automatically informs its user regarding SWR issues. Whenever there is a risk or issue the red light will indicate. This attribute is a most common find in high-end CBs. The Single SideBand gives its users the opportunity to receive the services to the Lower and Upper Sideband modes: the LSB and the USB. These modes are available to the operator on each of the available 40 channels. Though a commendable quality to get, only those that have SSB feature on their device can receive your broadcast. And you will need to fine tune for noise filtering. This attribute comes with some of the Citizen Band receivers. It allows the owner to sync his or her cellphone to the transmitter. When that is done, the operator can make or receive calls on the phone in his CB. But for that to happen, your phone and your CB has to have the Bluetooth tech. If your Cb comes with this feature, you can use the receiver as a public address (PA) system. To make that possible, the user will need to get an aftermarket external horn. Why another purchase might be needed is because CB radios with such capability don’t always come with the speaker meant for it. WHO IS A CB RADIO MEANT FOR? When CB radios first came into the market, the target was a private use. The united states FCC, decided to give citizens a chance to own a communicative device. This device is what we now know as the CB radio. At first, it was used by electricians, truckers, carpenters, radio hobbyist and more. Now, it is mostly used by truckers. Anyone can use the CB radio. Its primary creation is to provide a secured connection for users. Channel 19 is the most secure channel. Channel 6 is known as the link for long illegal broadcast. Several of the channels are not usually monitored. 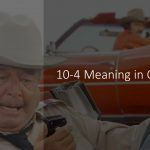 Some codes you should know is: 10-1 means poor reception. 10-7 refers to out of service. 10-4 is for the message has been received. 10-9 means the message should be repeated. And 10-20 refers to what is your location? You should do a radio check. When you log onto a channel you can do a radio check. Ensure the channel is clear first. Be polite and brief during your airtime. Remember no one loves to speak with an unfriendly person. And also remember others might be in queue waiting for your to release the channel. When you want to chat with friends, use a less crowded channel, though it is wrong to use the channels for small talks. I hope you have understood what does CB mean by now. More than that, we have made an effort to give some insights on how to use a CB radio.